This is a set of two Hot Bodies Khaos 1/8 Truck Tires. 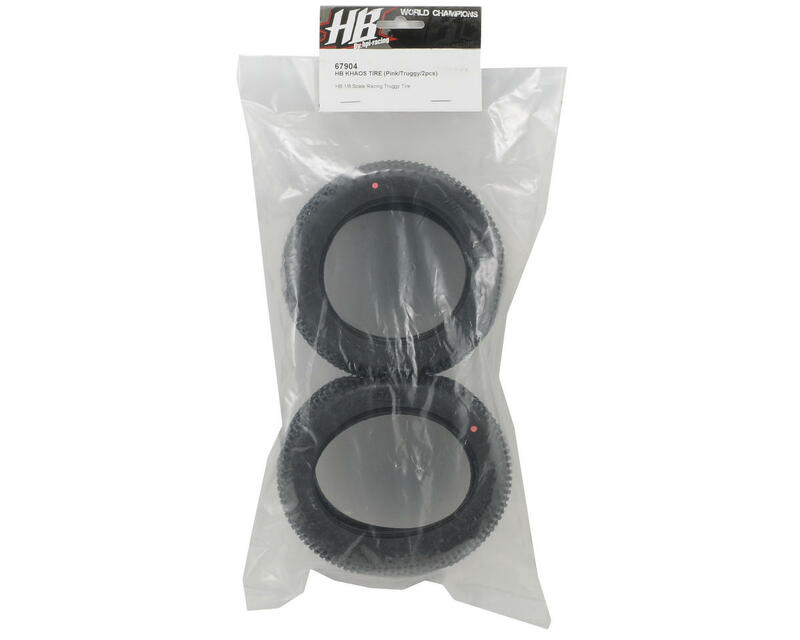 HB Khaos tires have been designed specifically to suit a range of off-road racing conditions, and are perfect for loose dirt, clay, blue groove and damp tracks. They also work great on hard surfaces with a scattering of dust on top. The tire body has hundreds of wide rectangular lugs spaced around the carcass, providing excellent forward traction and mud-slinging ability to keep the treads clear and the tire free from dirt build-up. The square sides of the treads give supreme cornering grip for extra confidence in technical track sections. Running down the center of the tire is a double row of tread blocks spaced even farther apart for excellent straight-line stability at high speeds. 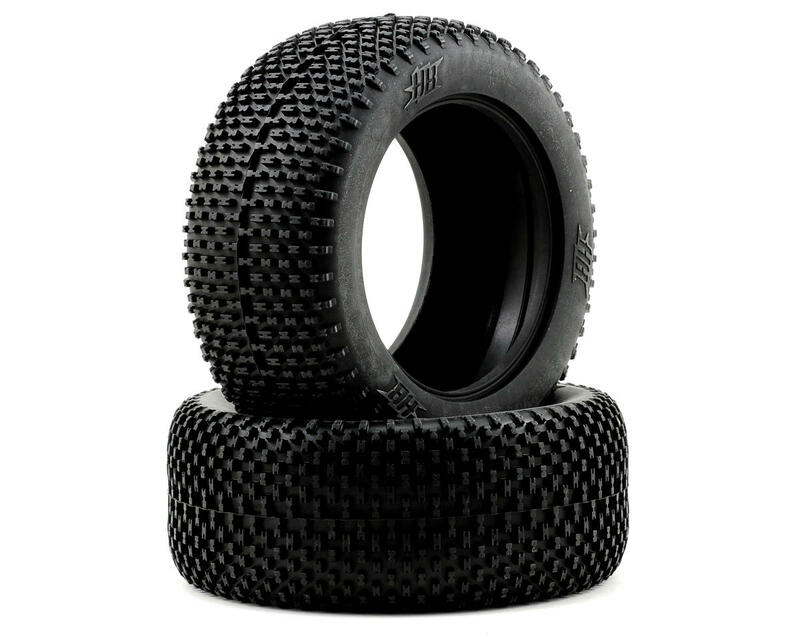 The carcass shape makes it perfect for rutted and bumpy terrain, because the curved sidewall doesn't dig in and cause grip-rolling because of too much traction. NOTE: These tires are not intended for use with large diameter 4.0" size truggy wheels and are designed for 3.8" size wheels. For a guaranteed fit, we recommend you use Hot Bodies T-Dish truggy wheels.